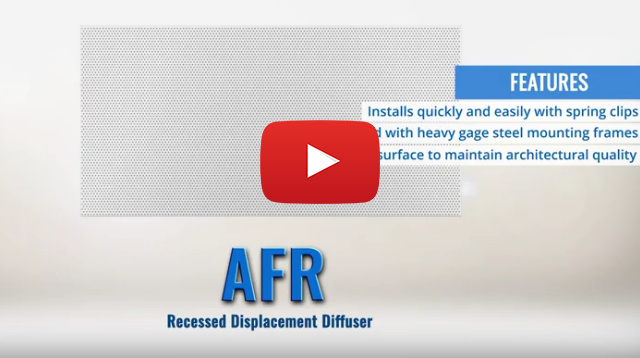 Now available for order is the AFR, a flat-faced, recessed displacement diffuser. It delivers cool air at low velocities at floor level, providing the benefits of thermal comfort, indoor air quality, whisper-quiet operation, and energy efficiency. 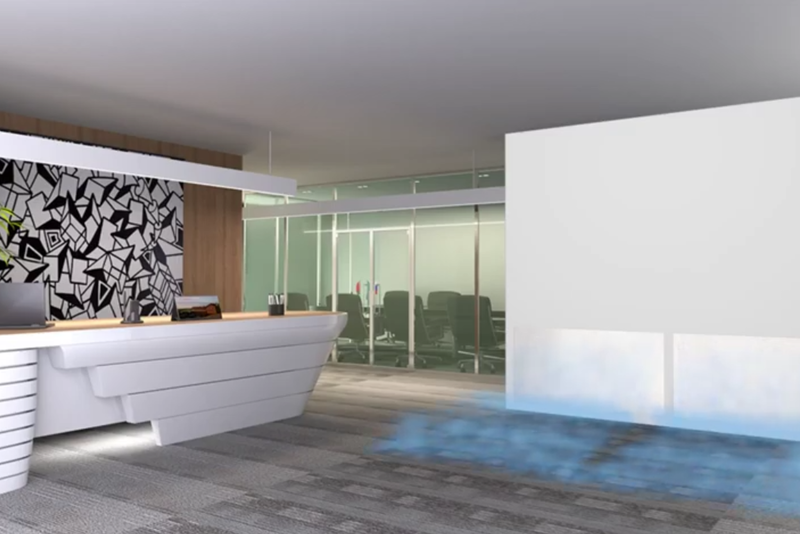 Its sleek construction allows it to integrate seamlessly into walls, stair risers, or a number of custom built structures (cabinets, desks…etc.). Whether for use in new construction or retrofit applications, Krueger’s AFR is sure to provide a great amount of layout flexibility.